Daredevil season 3 episode 12 sees Matt, Foggy, and Brett move Ray’s family into Brett’s mother’s home until they can get out Ray’s family safely of the country after the gunfight in Ray’s home in the previous episode. Matt is resigned to handling this Foggy’s way, within the confines of the law. So, with Nelson & Murdock representing him, Ray agrees to testify in front of a grand jury against Fisk. Foggy convinces D.A. Tower to hear Ray’s testimony. In return, Foggy agrees to drop out of the D.A.’s race, which he was going to do anyhow because Fisk has dirt on Foggy’s family to use against him. Matt and Foggy argue for Ray to get full immunity from the D.A.’s office, but Brett can only offer to put Ray away for 5 years on each count. Ray agrees to the deal. 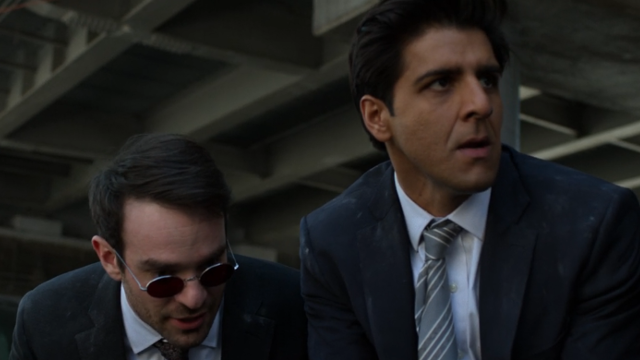 Matt and Ray are attacked on their way to the courthouse once Fisk gets word that Ray is about to flip on him. Brett ushers Ray in front of the grand jury, where Ray delivers his testimony. Foggy is high on the feeling of he and Matt working together again. Though the case should easily go in their favor, Fisk has gotten to the grand jury already, resulting in the grand jury refusing to indict Fisk based on Ray’s testimony. Now that they tried doing things Foggy’s way and failed again, Matt is resolved to kill Fisk. Fisk meets Vanessa upon her return to New York City. Fisk attempts to impress Vanessa with luxury, but she doesn’t want to be impressed. Vanessa tells Fisk that for two years she was alone, without Fisk, even in a crowd of people. Now that she’s back, she doesn’t want to be shut out of any part of his life. Either Fisk must share it all with her or she wants nothing to do with him. Fisk takes Vanessa to his control room, where Vanessa instructs Felix to have Dex kill Ray. Dex attempts to apologize to Fisk for Karen, Matt, and Ray all eluding them. Dex blames Ray for the whole thing and says that he will handle it. 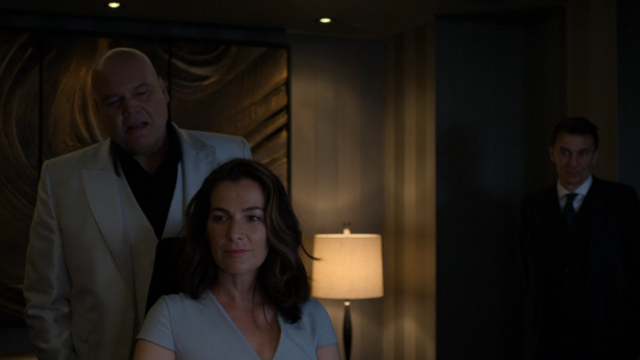 Fisk tells Dex not to, that clearly Dex isn’t ready to handle Fisk’s business. In an effort to prove his worth, Dex kills the elderly woman with the painting that Fisk wanted returned, telling Vanessa that he is the new Wesley. When asked about Dex, Fisk tells Vanessa that Dex is not that. Knowing that his family will not be safe as long as he’s alive, Ray knocks out Foggy at the courthouse and returns home, where he records a message for his wife and son on his cell phone. 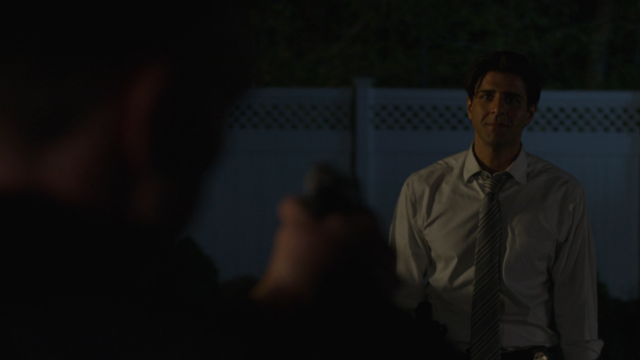 Ray is standing in the yard, drinking, when Dex comes upon him, gun drawn. Ray attempts one last time to get Dex to join him and flip on Fisk, but Dex says that he feels more like himself now than he ever has, and it’s all thanks to Fisk. Dex tries to get Ray to go inside where Dex can kill him in private, but Ray makes Dex shoot and kill him where he stands. What did you think of Daredevil season 3 episode 12? Let us know in the comments below. The post Daredevil Season 3 Episode 12 Recap appeared first on ComingSoon.net.